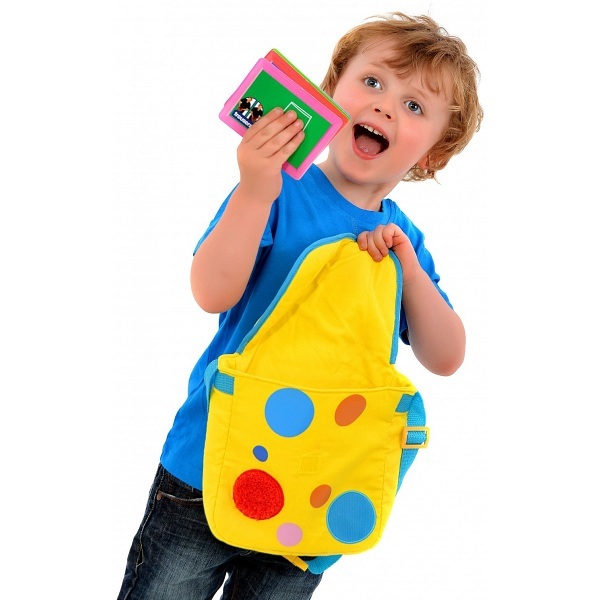 Your little one can be just like Mr Tumble from hit TV show Something Special with their very own super cool Textured Spotty Bag! 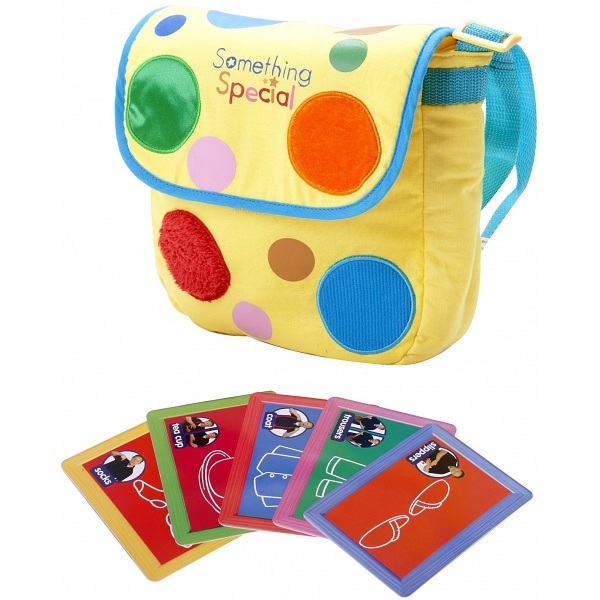 Made from brightly coloured fabric, Mr Tumble's spotty bag features the Something Special logo and four textured spots to help stimulate senses - green satin, orange velvet, red plush and blue corduroy. Inside are 5 finder cards with Makaton symbols so that your child can recognise items and find them in the home – just like Mr Tumble does. They’ll have hours of fun while developing their senses and communication skills! When they’ve finished playing, they can also use it as a handy bag. This bag for is suitable for children aged three and up. 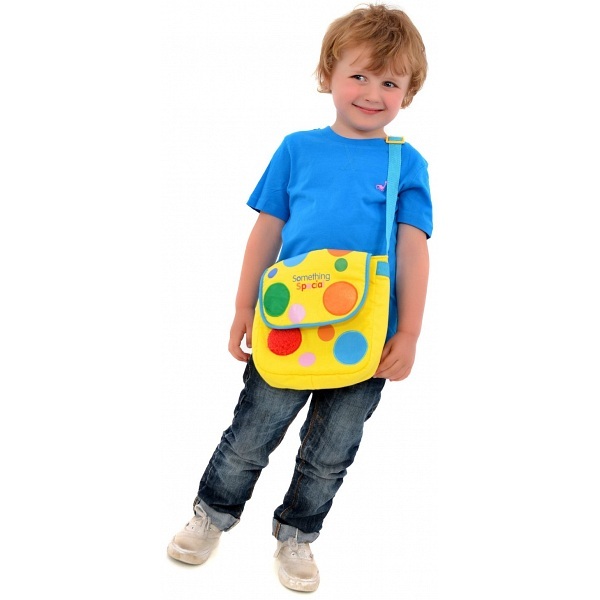 Measures 20cm wide and features an adjustable strap so it can fit a range of sizes.